Yesterday was quite an adventurous day with the first half calm and damp, but the second half very wet and stormy. I had to run into Silverdale yesterday evening and was amazed by not only the size of the raindrops but the warm air outside. It felt like a rainstorm in the Midwest! 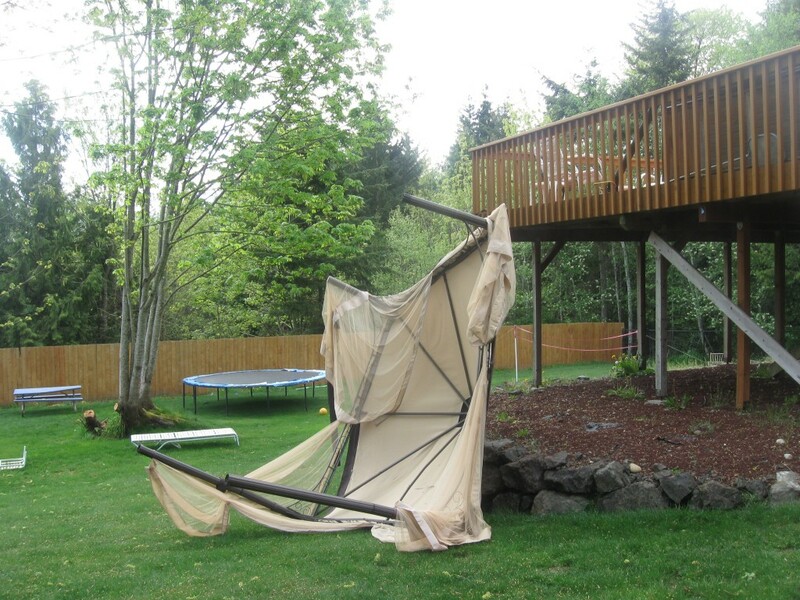 And then the powerful winds came last night, toppling over our canopy that you saw at the top of this blog. And what is more incredible is the possibility of a second act as remnants of a tropical storm east of the northern Philippine Islands named “Kujira” swings into our area producing high winds and heavy rain. Wait…let me take a look at the calendar…yup! It’s early May, not early March! Anyway, tomorrow will start out pleasant enough but come Monday night into Tuesday fasten your seat belts and get ready for another rare, late-season windstorm. Sustained winds could be in the 20s and 30s with gusts as high as 45 mph. And here’s another thing: it’ll be mild because of its origins. To read the Special Weather Statement issued by the NWS, click here. 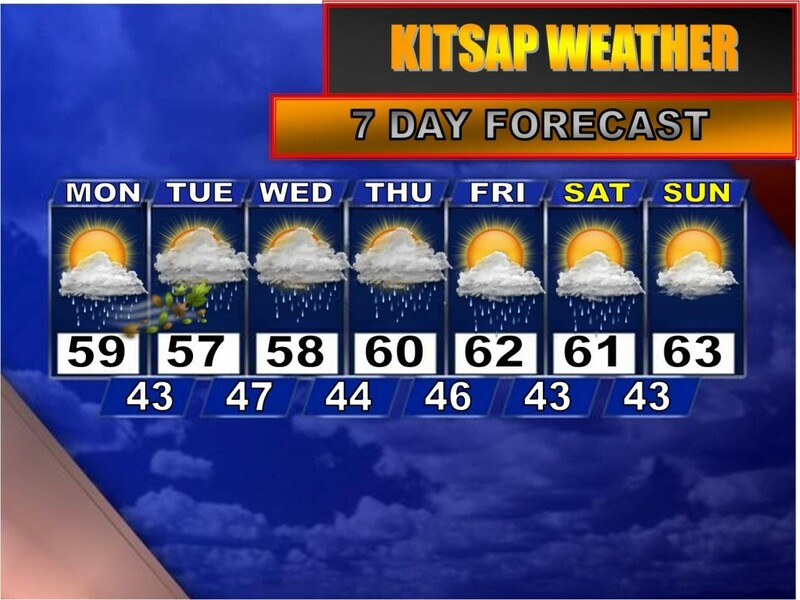 The weather calms down but stays rather gloomy through the end of the week, though the sun still looks to make a decent appearance Friday afternoon.